Today’s technological advancement has made it more convenient and easier to travel all over the world including the marine life. 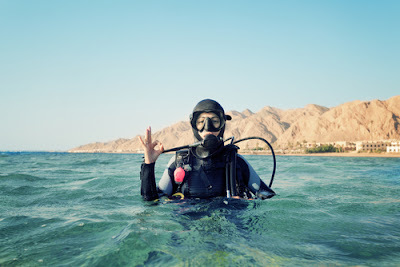 Many people are trying to become divers these days so that they can share the photographs and videos of underwater life, captured by them by using their marine camera systems, with their family and friends. But most of them make various mistakes while working on these underwater cameras, being an amateur photographer. These mistakes can be avoided if they have complete knowledge of the techniques used in them. Some of the mistakes are discussed here under in brief so that you can avoid them while using these underwater cameras in Singapore next time. Inappropriate use of light: The colours of an object pop up if light is properly focused in it while taking a video. You can avoid unwanted colour or shadows that make your video unrealistic by learning the proper use of light while working on marine camera systems. 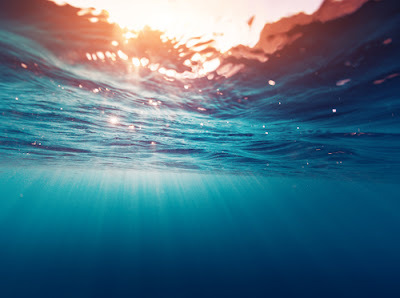 Moreover you should also learn how to avoid the scattering of light in the water caused by its interaction with underwater particles. Misuse of red filter: Mostly you see underwater videos in blue tone because the natural colours of sunlight are filtered by the water. The things get bluer as you go deeper into the water but this situation can be handled by using red filter properly. You can add back colours to your underwater videos by using red filter carefully. The colour adding efficiency of your red filter can be affected with the distance between your object and you. The affect of your red filter increases with the decrease in the distance between you and your object and vice versa. The tone of your video will be purple or red if you are too close to the object but if you are using black and white mode then the effect of your filter will be nil. Inapt use of focus: Most underwater videographers make a mistake of using auto focus while working on marine camera systems. They must use manual focus as much as possible to get the best photos under water. In fact auto focus is used while using camera topside but under the water if becomes difficult for the camera to decide the angle while focusing on the object and for that reason most of the underwater photos look blurred. You go on changing your positions to take the best shot and your camera keeps on hunting for the right place to focus on your object and the results get worse. So you should learn manual focusing of your camera while using it underwater. Failure to hold the camera stable: You must learn how to hold the camera stable if you want to get worthy videos or stills while shooting underwater. You must have full confidence while using your marine camera under water with perfect control. You cannot get rid of blurry images if you cannot keep your camera perfectly steady. Your photographs will be affected with the swell, current, gravity and surge of water. You can avoid using camera if you are not comfortable while diving. But if you want to make underwater videos then you must practice at other subjects to be a perfect videographer. Improper selection of shooting angle: While video-graphing underwater sometimes you may get chance to compose your shot perfectly but sometimes not. In such condition it is better to shoot from the front or a bit below the subject instead of from above or behind as these angles will make your photo lifeless or flat. Taking video while the subject is passing along you is another way to get its best photo but for such shot you will have to wait for some time without moving your camera too much. Use of zoom: The videos look shaky if zoom is used, even while holding the camera perfectly steady. Instead of using zoom underwater you should get closer to the subject to take its close-up shot. But you should be careful while getting close to some of the species as they may attack on you in their self defence. Improper maintenance of housing: Housing is used with marine camera systems to protect them from moisture and pressures. But is can affect the quality of your video or destroy your video if not maintained properly when it is not in use. Though it is easy to maintain the housing of the underwater cameras but it has to be done regularly so that it may not betray you. You should clean it, lubricate it and reset all of its essentials every time after using it for marine videography, as per the instructions of its manufacturer. 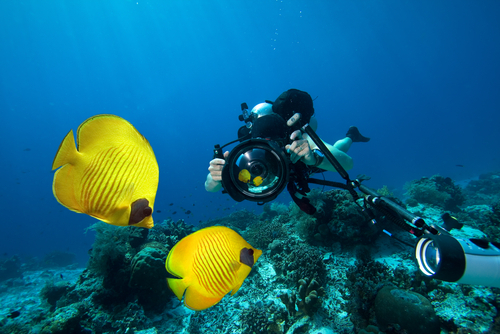 Improper composition of shot: While composing your underwater shot you should not think like a professional director of a movie as it can help you to get many things hanged around you especially when you are doing marine photography or videography for the first time. You should try to shoot your subject from different angles or its different behaviors or movements to get its best images, still or video. Moreover, instead of trying to get the portrait shot of your subject you should focus on its behavior that can be filmed perfectly. Insufficient control on the operations of the camera: Before diving and filming underwater you should learn to use all the operations of the buttons of your marine camera systems and practice them enough so that you may not be deceived while using them under water. You can capture the best shots of your life if you perfectly know the location of the controls of your camera. In this way you can take the best videos and still photos of the underwater species in Singapore if you do not repeat the mistakes discussed in this write-up. You can also avoid repeating these mistakes by taking a course regarding underwater photography and videography. They will teach you how to control your marine camera systems under the water and take better videos. It will also increase your confidence considerably and one day you will be able to create watchable underwater videos with proper education and consistent practice.